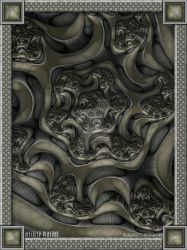 A collection of original fractal jewel images. Some of the very best artworks of all kinds for you to enjoy! 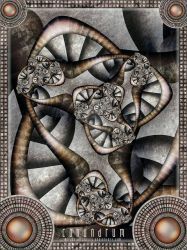 More great art made with Ultra Fractal by other artists. Raw fractal made with Ultra Fractal 6.02. Made with Fun Barnsley 1 (Julia) formula. My gallery and images contained in it are Copyright ©2007-2019 Velvet--Glove. All rights reserved. None of the images contained in my deviantART gallery may be reproduced, copied, edited, published, transmitted, borrowed, duplicated, printed, downloaded, or uploaded in any way (that includes blogs and links on ALL social media sites) without my express written permission. My images are for display on Deviant Art ONLY. Thank you for respecting my wishes. See also my Resources folder where I have collected links to some of the best UF tutorials to be found on DeviantArt. and help regarding Ultra Fractal. Check out my range of prints! All designs have been rendered to a very high standard ensuring crisp and vibrant prints with exquisite detail at all of the sizes offered. i'm having trouble finding, and inputting, the Doodads ucl. Could you please help? 4. Click on ldm.ucl. You should now see "Doodads" there in the right hand pane - select and open it. 5. You should now see Doodads loaded on the Outside tab, ready for use. PS. Don't forget about UF's Help file - you can find most things explained there often with helpful illustrations of buttons and things you'll see in the various dialogs. Just press F1 to access Help. it was the Doodads I was having trouble finding. It didn't come with the program and it took me awhile to find it. 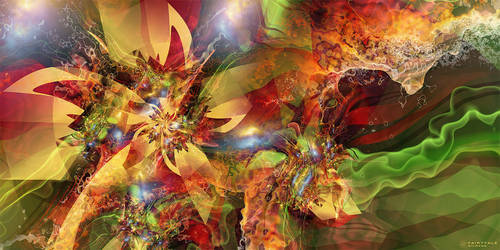 Anyway, I already figured it out and was just about to post me first fractal flower. We are quite pleased that you have decided to join the group! If you have any questions, at any time, please don't hesitate to ask! We look forward to your valued membership! Thank you, I'm happy to be on board your group and will try and contribute nature based images as and when I can! This year I asked Santa Claus your watch.